MKs propose new law allowing Israel to deduct terrorists' salaries from sum of taxes transferred to PA.
Several MKs with a background in security have created a plan to "deduct the salaries paid to terrorists from the funding given to the Palestinian Authority." According to Israeli newspaper Yediot Ahronot, the proposal was suggested to the Knesset last week, and includes deducting the 1.1 billion NIS paid to terrorists each year from the taxes Israel transfers to the Palestinian Authority. Such a proposal would be legally justified because the transfer of monies to terrorists violates the Oslo Accords. Israel transfers taxes to the PA as part of an agreement made in Paris, which amends the Oslo Accords. For this reason, the PA's violation of the Oslo Accords can influence Israel's agreement to uphold the amendment. If a package destined for the PA arrives in the Haifa port, Israel is authorized to charge both customs tax and VAT, and keep the money. However, the Paris agreement has Israel transferring these funds to the PA, instead of keeping them for its own treasury. 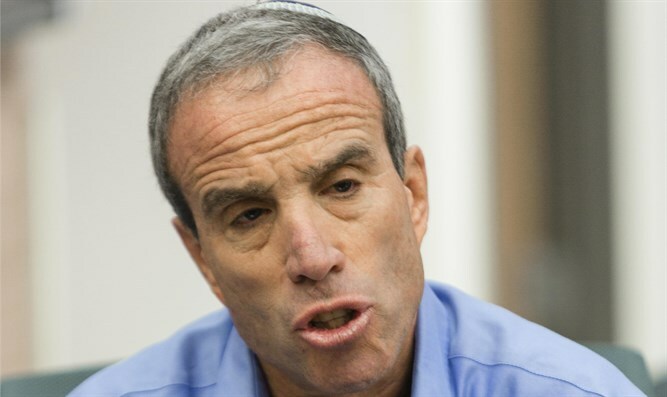 "The funds which are transferred to terrorists are not just part of the larger problem of incitement - they themselves encourage Arabs to carry out terror attacks," said MK Elazar Stern (Yesh Atid), who proposed the law. "It's a real incentive to murder Jews, and we must stop this insanity immediately." Former Shabak Head Yaakov Perry (Yesh Atid) said, "We are witness to an extended terror wave, which is caused in part by the PA's incitement. We need to pass this law as soon as possible." Supporting the law are MK Eyal Ben Reuven (Zionist Union), MK Avi Dichter (Likud), MK Roy Folkman (Kulanu), MK Robert Ilatov (Yisrael Beytenu), and Coalition Chairman David Bitan (Likud).